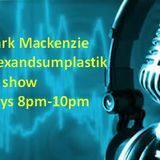 Responsible for the 2dexandsumplastik concept - Two Decks and some bits of plastic (vinyl) is all you need if the tunes are strong and the vibe is positive. Old school mixing, minimal use of effects (mainly just a high pass or low pass filter) here or there and an analogue, living, mixing style. Not 100% perfect, but better than perfect because of that!